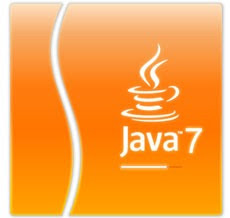 Java 7 is finally out!! Last week I had an invitation into Java 7 release. Missed it since I was living at the other side of the Atlantic. Obviously, it's always a pity to miss such an event, however Java's still holding up as the most crucial part of my tech life. Almost a year from last year's JavaOne conference in San Francisco where I met crowds of professional Java developers discussing the next version of Java and how wonderful it would get. It's absolutely amazing how Java's been evolving over the years and indeed quite thrilling to see it's still the top priority for folks in Oracle as it'd been for Sun guys. As you could guess (or already know), performance wise, Java 7 is more responsive and amazingly fast. Garbage Collector seems to be much more improved, especially in terms of concurrency. Can't wait to get all coding again!! 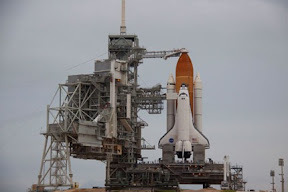 Space shuttle Atlantis is set to liftoff today on the final flight of the shuttle program. It's a 12-day mission to the International Space Station. It will carry a crew of four and the Raffaello multipurpose logistics module containing supplies and spare parts for the space station. The STS-135 astronauts are: Commander Chris Ferguson, Pilot Doug Hurley, and Mission Specialists Sandy Magnus and Rex Weilham. Atlantis will launch in 5 hours and 15 minutes.